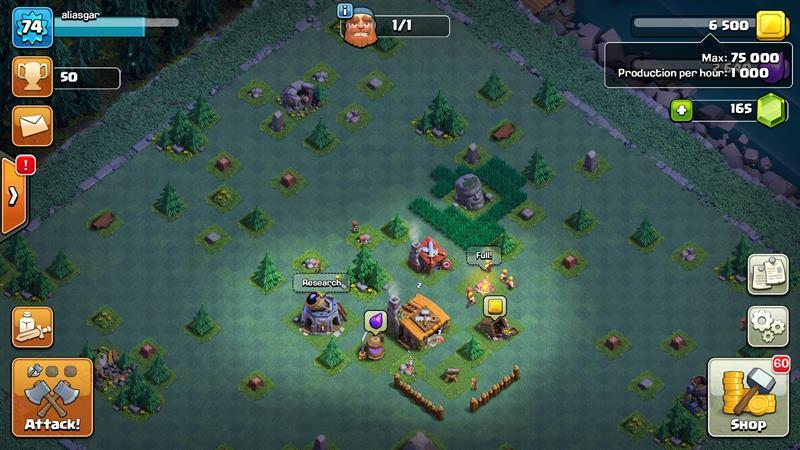 Do you want to know the method of playing the famous mobile app, Clash of Clans? In this article you will find the complete steps and tactics to play Clash of Clans. Please read this article before starting to play the game. 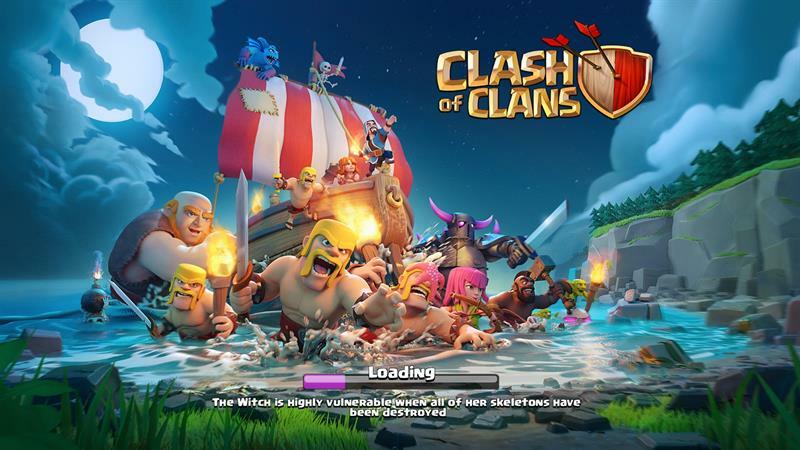 Clash of clans is a strategic type Android game for entertainment. Nearly a billion people play this game. The game will run only when internet connection is available. Without an internet connection, you can't start the game. In Clash of Clans, you have to log in with Google and FaceBook accounts; without signing in, you will loste all the data after deleting the app. How to start clash of clans? First go to the shop and build the defenses and resources. After this you have to build the barracks for training the troops to attack on other base for loot. After building all buildings, you want a stronger base to defend the enemy. For a strong base, first remove all the obstacles and then rearrange the base. How to upgrade your base? Upgrade your army and troops to the maximum. Upgrade your resources to the maximum. Upgrade your defenses to the maximum. After upgrading buildings, upgrade the town hall. In town hall level three, you have to rebuild the Clan castle. In Clan castle, you can chat with other members of clans. You can receive and donate troops by using Clan castle. You can also donate spells in Clan castle when you are upgraded to level 5. How to get star bonus loot? You have to collect trophies for star bonus loot. If you want to collect more star bonus loot, then collect the trophies and clear the leagues. It will help you to upgrade buildings, troops, base, heroes, etc. 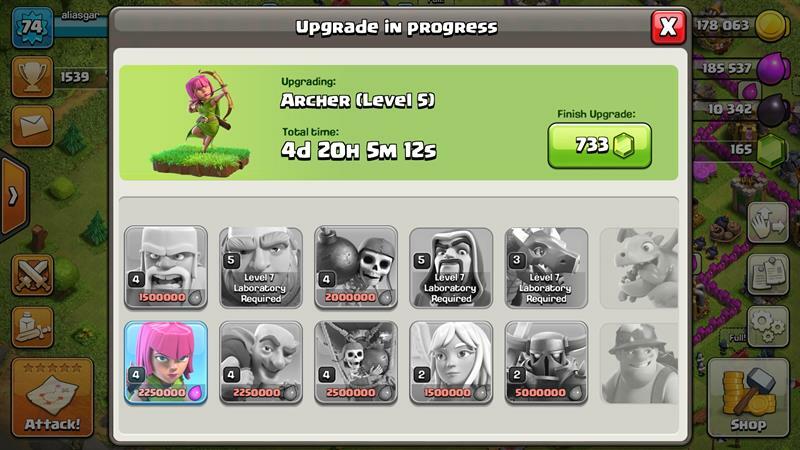 In town hall level seven, nine and eleven, barbarian king, archer queen and grand warden are unlocked. These are called heroes. With the help of dark elixir, you can build the heroes and can also upgrade heroes. You can use the ability of heroes in attack, once heroes are upgraded to level 5. You can use the heroes to defend your base and in any attack on enemies. How to play builder base? In town hall, rebuild the ship without any cost and go in to the builder base. Then go to the shop and build the resources, defenses and armies. Now you want a stronger base for winning verses battles. Remove all the obstacles & then rearrange the base. Now you have to get loots for upgrading buildings. After collecting the loot you have to upgrade the buildings and armies to maximum. Upgrade the defenses to the maximum. Upgrade the troops and troops capacity to the maximum. Upgrade resources to the maximum. After this, upgrade the builder hall. This method longs to builder hall level 6. In attack, take one minute to see the base, then start attack. You have to deploy the troops in ending of base. This method will help you to win the verses battle. In builder hall level 3, you have to rebuild the gem mine to collect extra gems. Gems help you in town hall to build more builders. In builder hall level 4, you have to rebuild the clock tower. Clock tower boosts your collectors and armies in builder hall. In builder hall level 5, you have to rebuild the battle machine. Battle machine is a hero. This battle machine hero can be rebuilt and can be upgraded by using elixir. So play the Clash of Clans by using and following the above methods and be a successful player of this popular game! Looking for career guidance for a video games designer? Want to know the job scope and salary of a games designer in India? This article provides information on these and other aspects of computer and smartphone games designing, including the ideal general skills you need & academic qualifications for landing your dream job as a games designer in India. Need a social messenger application for your smart phone but confused which one to choose from the millions of software collections? In this article, learn about the useful and top rated free software applications on the Apple's App Store, Google Play and Windows phone market. There are many Apps Available in marktet and so you cant guess Which one is best for you. Let me Suggest you some of the interesting and amazing social messenger Apps for downloading on your smart phone. Mu cousins suggested me to download 'Clash of Clans' from play store and play this game and join their clan. But at that time I found it very boring and strange because all I could see was small characters of games running here and there destroying and building things overall. I wasn't able to understand the game properly. So I uninstalled it. But after reading this article, 'Clash of Clans' is making some sense to me. Now I will try to play it again by following this procedure. Thanks for reading the article and for the comment Neelam. Yes, you must play the clash of clans by this method. And you have to join a clan. So, if you want you can join in my clan Roking Boyz. It is really nice that your first article is approved and got 50 points. You have explain how to play game clash of clans very nicely and step by step procedure. Congrats for your first and a good presentation of article. Thanks Mr. Hakimuddin for your appriciation, reding article and article.